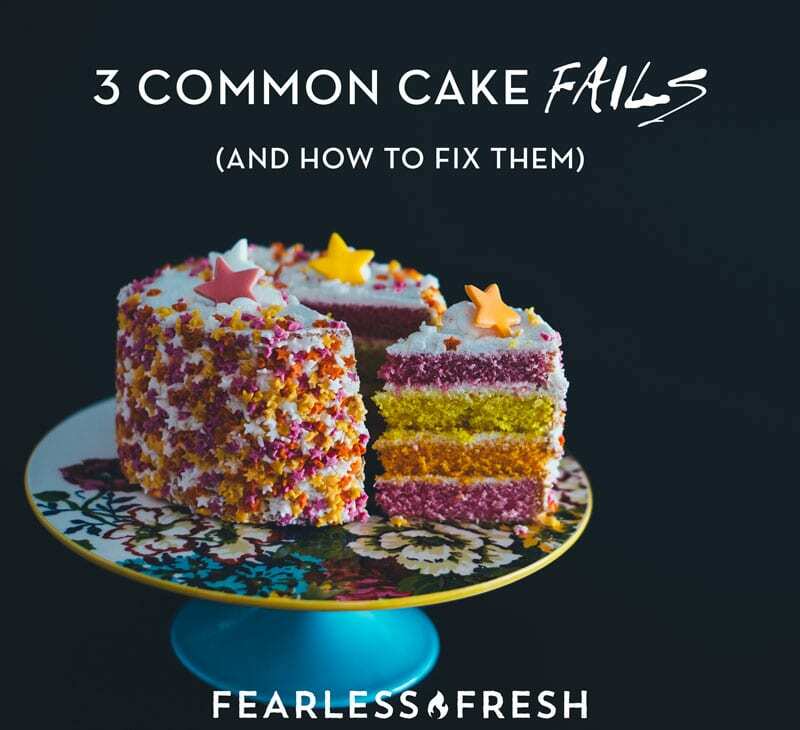 Cake fails cause your baking adventures to end in tears? Does your cake stick to the pan or come out dry as the Sahara Desert? Never fear, here are some fail-safe techniques for making a beautiful cake that everyone will be talking about. (In a GOOD way!) 🎂 Once you’ve got these tips down, you’ll be able to master gorgeous cakes like the Dark Knight Chocolate Cake or the Blueberry Peach Upside-Down Cake. There’s nothing worse than finding the perfect cake recipe, buying the ingredients, using the most expensive nonstick cake pans, and having a deadline for the cake to be ready. It comes out of the oven looking beautiful. You think “Ah! This will be a piece of cake to finish!” (Pun intended.) You let your cakes cool, go to remove them from the pans, and end up with your cake in pieces. What to do: Lay out a large piece of parchment paper. Set your cake pan on top of the paper and trace the bottom of the pan with a pencil, then cut out the circle with a pair of scissors. If there are any pencil marks on the paper, make sure they’re facing the pan and not the cake. Why does this work? Parchment paper prevents cake fails by allowing you to easily turn the cake out of the pan without it sticking. The paper will peel off perfectly after the cake has cooled. I have never had a cake stick since I started using this method. Hallelujah! One common baking fail is a cake that is so dry you can barely swallow it. What causes this? Lots of things. Baking a cake requires precision and science, so you can’t just change things in the recipe. Using too much or too little of an ingredient will result in a cake FLOP. Switching out ingredients can cause problems as well, as does baking at the wrong temperature or for the wrong amount of time. ​​Too much flour: Make sure you use a measuring cup for dry ingredients. Fill it with flour, then with the back of a butter knife level it off before adding it to the batter. Or better yet, consider getting a digital kitchen scale and baking by weight. Over-mixing: ​​​​ After you add the flour, over-mixing your batter will cause the gluten in the flour to overdevelop. Too much gluten development will leave your cake tough and dry. Mix just enough to incorporate all ingredients together and get the clumps out, then STOP MIXING. Sometimes that means you’ll still see a little bit of flour here and there. Going stale: Even a perfectly baked cake can dry out if it hasn’t been stored properly. Let the cake cool completely, then either frost it or wrap it in plastic as quickly as possible after it has cooled. Covering and storing a cake properly is just as important as baking it correctly. If you haven’t already invested in an airtight cake keeper (affiliate link) I suggest doing so. If I’m making a cake for someone else, the day before pick-up I will bake the cake, let it cool and before I go to bed for the night I make the filling for the center, fill it, crumb coat it (A thin layer of frosting called the “crumb coat” seals in stray crumbs before fondant, marzipan, or a second frosting layer is applied.) and then refrigerate it until I’m ready to frost, decorate and box it up for the customer the next day. There are many different reasons a cake may not bake all the way. While I would love to fib and say this never happens to me, I’m too damn honest. I JUST messed up a cake myself. My recipe called for 2 to 3 medium bananas and 2 large eggs. My bananas were really big and then my daughter and I got chatting as I was adding the eggs to the batter. I didn’t notice one of the eggs I bought were double yolked (which means extra fat not accounted for in the recipe). My oven cooks about five minutes too fast as well, so I adjusted the baking time accordingly. I checked the middle of the cake with a skewer and it came out clean. The cake looked beautiful. I took it out of the oven and let it cool completely. But when I took it out of the pan, I saw that the center hadn’t cooked all the way through. The extra yolk, on top of the extra-large bananas, made the difference in the cake being 100% cooked through. There was way too much moisture in the batter, which needed longer to bake. Your cake is too far away from the heating element. Ideally, your cakes would go on the middle rack, equally far away from the top and bottom of your oven. ​With these cake-fails details ready, you officially have the tools necessary to battle baking dramas deftly and with grace. Now that you’re that much closer to being a baking superstar, what will you make next? 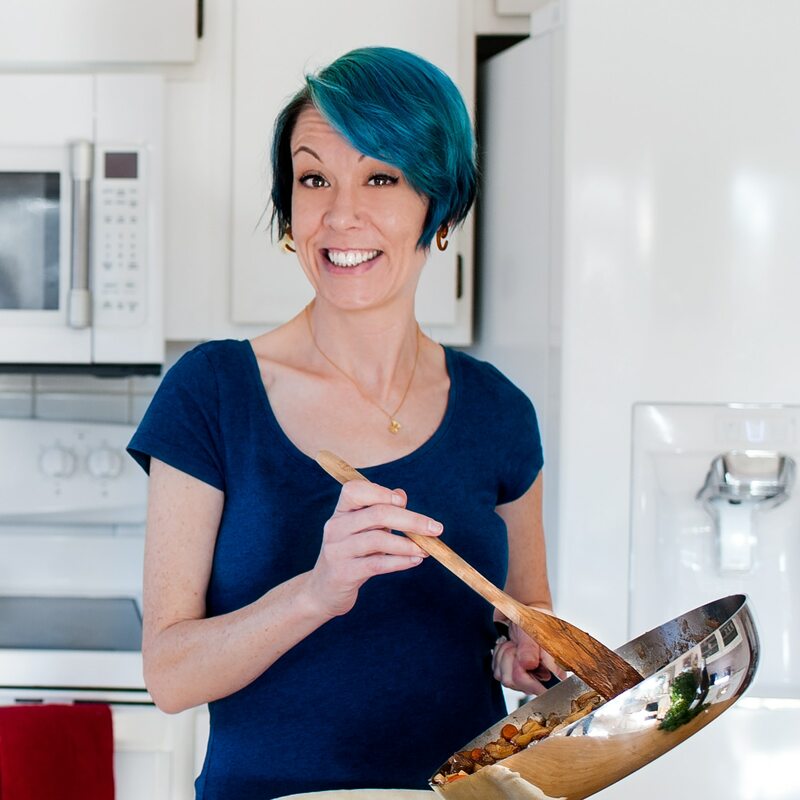 Laurie is a self taught cook, baker, food blogger, and former caterer and restaurant owner. She loves cooking for her family, friends, and two best pals (Cali & Sheila – her dogs). You can find Laurie over at Drizzled with Flavor.